Back-to-school signs in the stores mean one thing for most homeschooling parents: it’s time to get serious about setting goals for the coming academic year. Some parents dive into this process with gusto, scheduling each unit and assignment before the first day of studies. Others of you might be holding onto every last scrap of summer that you can, figuring you can wing it as you go. 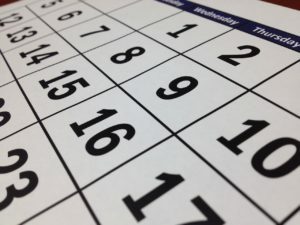 If you haven’t started any planning so far, take a look at the homeschool planning guide we wrote. It will help give you a big picture for the school year before you start dealing with the details. After you have an overall plan nailed down, some of you might start your process by looking at the curriculum you enjoy. Structured lesson plans and timelines will probably help you with dates and outcomes, but try not to completely depend on those to create your students’ success. 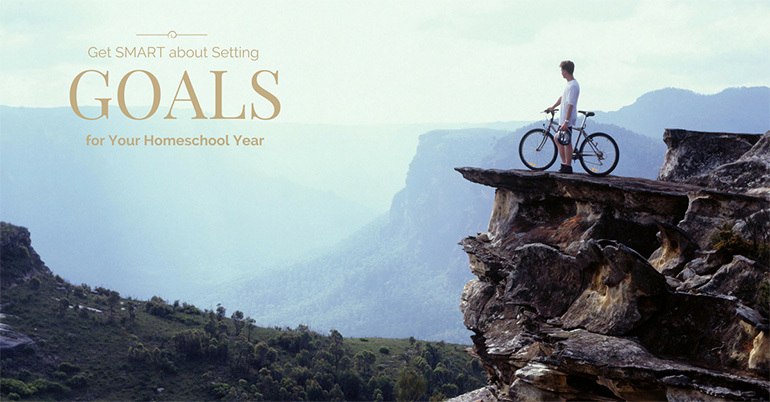 Setting goals truly makes your educational experience your own. Even if you’re unschooling, starting the year with goals helps give parents and students reminders of topics you want to make sure you explore. Those guideposts can be exceptionally useful as you dive into the fascinating twists and turns that your studies always bring. 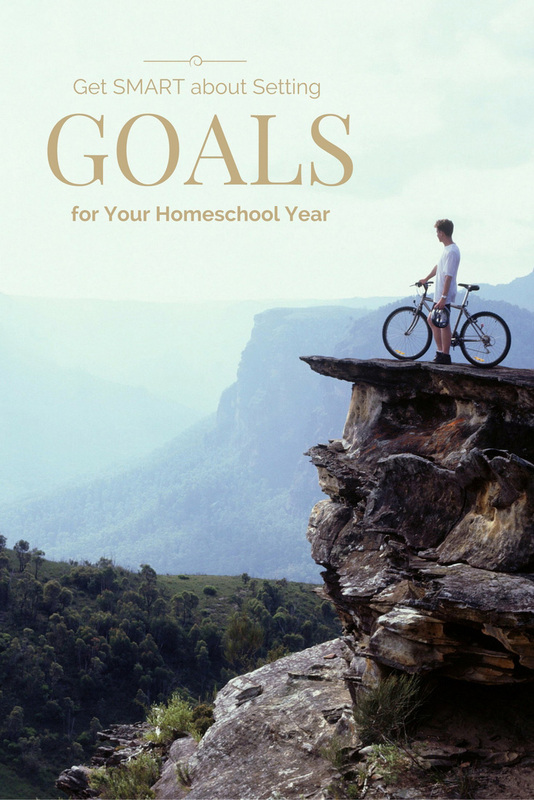 Whatever homeschooling approach you use, getting your children involved in the goal-setting process is a great idea. Allowing them input about books to read, museums or businesses to visit and overall topics to study can really keep them motivated. Remember that goals can keep you motivated, too! Don’t forget to set targets for yourself. Homeschooling parents are the engine that keeps the entire school year rolling, and everyone is depending on you to maintain the daily schedule and get everyone to the final destination. Don’t let your enthusiasm sag because you’ve forgotten to mark the the finish line and create incentives! The best method I’ve found for setting goals that stick is the SMART method. SMART is an acronym that stands for Specific, Measurable, Attainable, Relevant and Time-bound. Each of these ideals puts a little more power into your plans than off-the-cuff goals can offer. 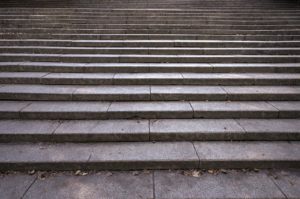 Let’s walk through each step so you can see how these principles make goals more effective -- and give you the support you need every day. In order for a goal to be a good focal point for your energy, it needs to be detailed. Just like a river needs banks on either side to keep the water flowing in a certain direction, your goals need boundaries and direction. A mushy homeschooling goal might be this: I want my children to read some of the classics this year. Each month, I want my children to read a book that has won a Newbery Award. I want my kids to read Black Beauty, Wind in the Willows, Where the Red Fern Grows and A Wrinkle in Time this year. When you name exactly what you want to accomplish, it becomes easier to make it happen. How will you know if you’ve reached your goal? In the case of our classic books, it’s pretty easy to tell -- either you read them or you didn’t. Other goals are trickier. A goal of “improve Madison’s handwriting” is pretty hard to evaluate. How do you evaluate improvement? By doing side-by-side comparisons each week? Asking a friend to read the writing aloud for legibility? It can be tough to gauge the headway she’s making. In this case, we could change the handwriting goal to “Have Madison work on handwriting for 15 minutes a day and write a legible letter to Grandma each month.” With both specific (letter to Grandma) and measurable goals (the 15-minute time frame), it’s pretty much guaranteed that handwriting will improve in that time. When you start a new year, it’s easy to be overly optimistic about what you can accomplish and what your children are capable of. I know, we’re all raising Ivy-league geniuses, but make sure you’re choosing goals that don’t load your family with too much pressure. If you’re just teaching a child to read, don’t expect him or her to be reading chapter books in a few months. Perhaps they will, but if they need more practice and support, you want to offer them patience and understanding instead of being frustrated that they’re not meeting your goal. This issue is especially important to consider if you are gifted in an area where your children struggle, like math or writing. It’s easy to forget that they can’t blast through a page of equations like you can. While you don’t want to set the bar too low, having realistic goals will help everyone feel like they’re making progress. There are many ways that you could interpret the word “relevant” as it applies to homeschooling goals, so let’s look at a few options. Relevant implies that there’s a relationship or clear connection between your goal and something else. Maybe that’s your children’s interests or the overall curriculum, but whatever the case, make sure your goals connect. Talk to your children to see if they have an interest in the learning goal. If they’re not motivated on some level to perform, it’s going to be hard to meet the goal without a lot of frustration. Honestly examine whether your goal is necessary. Sometimes it’s easy to think that if you learned certain material in school, your children should too. Make your own choices, but remember that times have changed and children’s gifts vary. For some homeschooled students, it might be more important to learn how to write computer code than to diagram sentences. Whatever you’re trying to accomplish, it should clearly fit within your homeschooling ideals and curriculum topics. Some projects have a way of dragging on and losing momentum. To make sure yours stay focused, nail down a timeframe to complete the goal. Having an end date in mind really helps direct energy on the task at hand, as many of you may have discovered when training for a 5k or trying to lose weight for a special event. When you have a deadline, it’s hard not to respond to that pressure and perform. As you create your goals, feel free to try them on to see how they fit. A good litmus test is to read them and see you feel. Excited? Anxious? Determined? If you get a feeling of trepidation as you consider them, it’s fine to revise or even discard them. Remember that these are your goals, so if you need to make new ones during the year, do it without feeling guilty. Homeschooling gives you the flexibility to create a hand-crafted education, so take advantage of it! The final step in your goal-setting process is to share these goals with everyone in the family. Once you’ve settled what you want to accomplish and when, get everyone on the same page so there aren’t any surprises or unspoken expectations. Whatever your goals, we recommend using a feedback process to refine your goals. If you take time each week to review your progress, you’ll be more engaged with the material and be more motivated to continue your momentum. Friday afternoon or Sunday evening is usually the perfect time for a check-in. 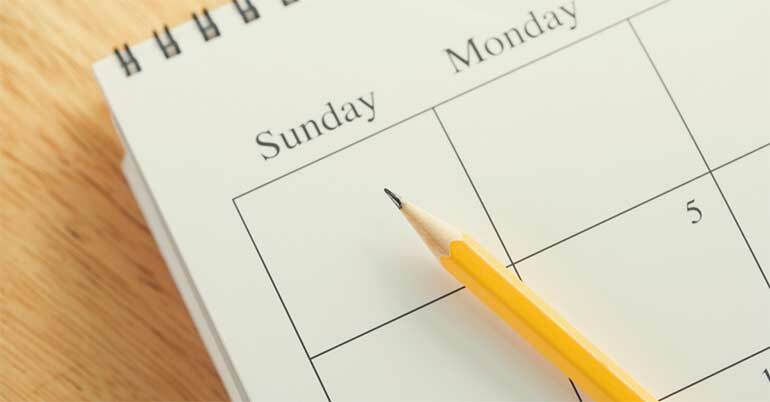 Take a few moments to review what worked well and what didn’t during the previous week, and then plan your future week accordingly. 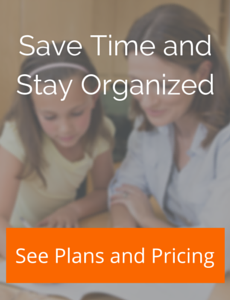 Tracking your goals and progress is amazingly simple with our Homeschool Tracker software. It manages all of the details of your academic goals for the year with just a few entries. You can schedule lesson plans and field trips in advance -- or you can input the work you’ve completed as you go. 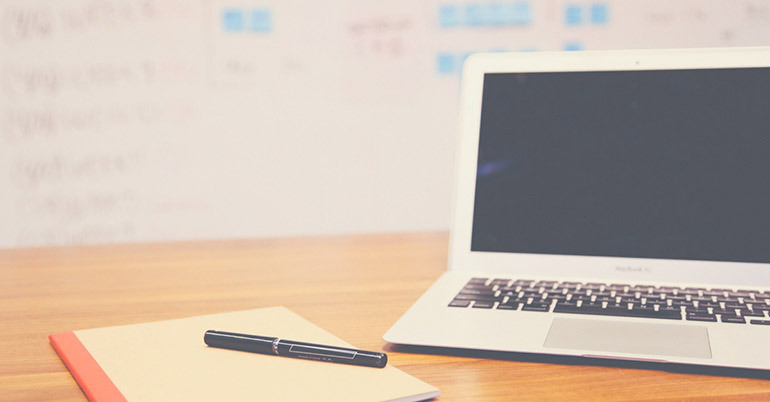 Either way, you’ll be able to generate reports for yourself or create professional transcripts. With Homeschool Tracker at your fingertips and SMART goals to keep you focused, you can create a whole year of learning that gives everyone a sense of accomplishment.